PanARMENIAN.Net - In the course of years of its activity, VivaCell-MTS has had two major achievements, which are important for the company both as a company, and as a successful effort to put the company management on par with international standards. First time in Armenia, а business organization has issued an annual corporate responsibility report, which is based on the standards developed by internationally recognized Global Reporting Initiative. The report embraces issues that go beyond the Company’s social and environmental activities. It includes the institutional grounds on which the Company builds its activities in line with ISO 26000 international guidelines for corporate responsibility. Those grounds include requirements for information security and confidentiality; efficient use of non-restorable resources of energy; saving through using solar energy; business ethics, community development, risk management systems, and more. The most important achievement, VivaCell-MTS underlines, is the compliance of the anti-corruption management and prevention systems for the first time implemented in Armenia in line with ISO 37001 and ISO 19600 international standards. This is documented in the certificates granted to the Company as a result of auditing performed by International Compliance Association. 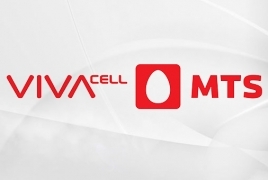 VivaCell-MTS’s readiness to undergo the mentioned auditing is aimed at early detection of risks, and is helpful in preventing problems before they outgrow into crises. In a business perspective the compliance to ISO 37001 and ISO 19600 international standards is also a strategic tool to maintain the Company’s competitive position in the telecommunications market, which simply cannot be replicated. Yirikian suggests that the wider public, Armenian and international experts and mass media familiarize themselves to the report prepared in line with the GRI standards and share their observations or bring about ideas on how to increase the efficiency of Company’s processes. “In terms of being socially responsible, the way a company does things is as important as what it does and what material resources it uses to do that,” concluded Mr. Yirikian.